“Ramona Raceway Dragster” is Dave Ybarra’s first mural for the Ramona H.E.A.R.T. Mural Project. His previous murals can be viewed in Lakeside, where he lives. 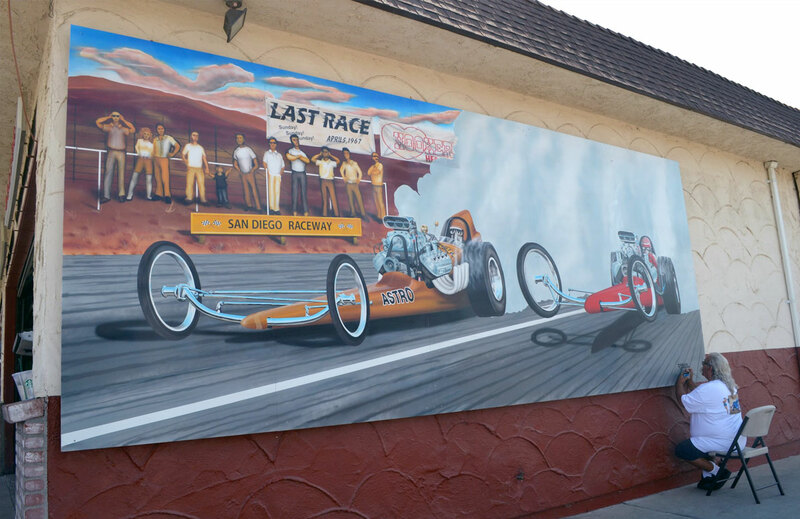 This mural memorializes the Ramona Drag Strip that operated in the 1960s next to the Ramona Airport as the San Diego Raceway for drag racers-drawing thousands of participants and viewers. Look for the hidden H.E.A.R.T. icon in this mural.